At its best, interpersonal communication isn’t easy, and when things get heated, it’s even harder to communicate effectively. In this interactive, fun, and fast-paced workshop, we will ask you to self-select into groups based on how YOU communicate, and then discover how your communication style can help (or hurt) your ability to work with others. You will come away with practical tips for leveraging your own style, identifying others’ styles, and interacting with others more effectively. Tom Pickett in an experienced executive leadership coach and consultant. Tom’s focus is to help clients develop and manage strategic, cultural, and structural changes within their organizations. He partners with clients to provide personalized processes and support materials that help turn goals into reality. Tom specializes in helping organizations grow and maintain a competitive advantage by developing and more effectively utilizing the talents, aptitudes, and abilities of the people in their organizations. Tom has an extensive background in the IT Industry, with his corporate career spanning companies such as Compaq Computers and Sun Microsystems. Emma Powers is an under 40 young professional with diverse experience working with professional associations and others on technical writing, project management, quality assurance, and instructional design and custom learning and professional development programs. She excels at gathering information from disparate sources and turning what once was a jumble of unconnected ideas into a cohesive narrative that is easy to follow and understand. Emma is the primary author of the Body of Knowledge texts for two international professional organizations, including IAAO. She worked closely with subject matter experts from diverse fields to create a clear, well-written, and informative text that provides an exhaustive overview of the skills and knowledge that the reader must have in order to attain success within that industry. Each BOK is over 600 pages and will serve as the comprehensive educational resource for the organizations’ members. In addition, Emma has done important work with assessors in Mecklenburg County, North Carolina. Tim Boncoskey is the President of IAAO for 2019. Outside of IAAO he serves as Chief Deputy Assessor for Maricopa County in Phoenix, Arizona. He joined Maricopa County as Chief Deputy in July 2006 after 17 years with the State of Arizona. He also worked as a senior budget analyst for the Fairfax County Office of Management and Budget in Virginia before beginning his Arizona State government career. He previously served as IAAO President-Elect and Vice President, and also as a member of the IAAO Board from 2013-2015. In 2018, he was appointed to the National Association of Counties (NACo) Board of Directors, representing IAAO and serving on the NACo's programs and services committee and large urban county caucus. In 2011, he served as Chairman of the Major Jurisdictions Council, Chairman of the Local Host Committee for the 2011 International Conference on Assessment Administration in Phoenix and Chairman of the Councils and Sections Committee of IAAO for 2012. Tim has also served as the elected President of Arizona Chapter of IAAO (AzIAAO) for 2007-2008 and 2011 and the chapter's national representative for nine years beginning in 2009. Mr. Boncoskey began his state service working for the Governor's Office of Strategic Planning and Budgeting where he analyzed various agency budgets including the Department of Revenue for fiscal year 1991 and 1992. He served as an initial management staff member in the Governor's Office for Excellence in Government from 1993 to 1995, becoming Executive Director in 1994. Governor Symington appointed Tim an Assistant Director of the Department of Administration (ADOA) in 1995 and he went on to hold various executive management positions in ADOA until he joined Maricopa County. Tim served Governors Symington, Hull and Napolitano in his seven years as the Chairman on the Governor's Regulatory Review Council from 1996 to 2003. He received his Bachelor's Degree in Public Administration in 1983 from the University of Arizona and his Master's Degree in Public Affairs in 1985 from the LBJ School at the University of Texas and attended the Governor's Center at Duke University Strategic Leadership Program for State Executives in 1999. Robyn Rickenbach is the President of Springboard International Inc. She is an innovative, strategic thinker with proven success in executing critical business objectives, making teams successful, and facilitating collaborative decision making and planning. She has an intense focus on human capital improvement, learning and performance, and organizational development areas with over 25 years of experience in a variety of market sectors and verticals. Robyn graduated from the College of William & Mary with a B.A. degree and also holds an M.B.A. from Golden Gate University. Robyn is a Certified Business Coach and holds a certification in Business Process Improvement. Robyn spent almost 15 years in the education sector, as both the Director of Admissions and the President of several career colleges, and in that time also headed self-study teams and implemented new academic programs. She then moved into the corporate world of training and development as an enterprise sales person and then learning services solutions manager. Ben Bervoets’ career started at the valuation department of a local jurisdiction in the Netherlands, but he soon switched to the national oversight agency. For the Netherlands Council for Real Estate Assessment, Ben is now responsible for the oversight on non-residential property valuation. Ben has a Bachelor’s degree in Real Estate Management and Valuation from the Rotterdam University and a Master’s degree in Public Administration from the Leiden University. Within IAAO Ben currently serves on the Research and Standards Committee and he chairs the AVM Global Credentialing Task Force. In 2018 he was involved in the establishment of the European Chapter of IAAO, of which he now serves as vice-president. 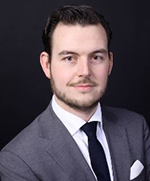 On behalf of the Netherlands Council for Real Estate Assessment Ben is a permanent representative at TEGoVA, The European Group of Valuers' Associations. This panel of association leaders will discuss successful experiences and techniques to developing positive views toward change, strategies to increase diversity, and what are the most important leadership skills required in the navigation of constrictive environments. Clarence E. Anthony is CEO and Executive Director of the National League of Cities (NLC), the largest and oldest organization representing America's cities and their leaders. Under his leadership, NLC has advanced policies that expand local control and provide direct funding for local programs related to public safety, infrastructure, transportation, and sustainability. Mr. Anthony began his career in public service by serving as mayor of South Bay, Florida, for 24 years. As mayor, he created new educational and economic opportunities for residents — including building his community's first library. During that time, he served as president of the Florida League of Cities and NLC. Following his time in office, Mr. Anthony represented local governments on the world stage as Founding Treasurer and Interim Manager of United Cities and Local Governments (UCLG). He later founded Anthony Government Solutions, a firm focused on strategic visioning, policy development, and management restructuring for government and private sector organizations. Matthew D. Chase has served as the CEO/Executive Director of the National Association of Counties (NACo) since September 2012. As the chief executive officer, he is responsible for the overall management of the association. NACo is the only national association representing America’s 3,069 county governments. During his professional career, Matt has focused on promoting America’s economic competitiveness, strengthening the intergovernmental system of federal, state and local officials, and engaging local elected officials in the federal policymaking process. In addition, he is a regular presenter on the impact of federal budget and policy trends on local governments and communities. Previously, Matt served nearly a decade as executive director of the National Association of Development Organizations (NADO), representing local government-based regional planning and development organizations. Prior to becoming NADO’s executive director, he was the organization’s deputy executive director and legislative affairs director. He began his career with the Professional Managers Association, serving as membership services director and chief operating officer. He is a graduate of Hartwick College in Otsego County, New York, and holds a master's degree in political management from The George Washington University in Washington, D.C. He currently serves on the board of advisors for GW’s Graduate School of Political Management and the board of directors for Vets’ Community Connections. He was recently selected as a new Fellow for the National Academy of Public Administration. Tina Myers, CAE, is Deputy Chief Executive Officer for the Society for Marketing Professional Services (SMPS). SMPS serves over 7,100 professional service marketers and business developers throughout the United States, and Canada. She is responsible for the Society’s operations, governance, human resources, programs and overall management of the SMPS staff. Tina is also responsible for implementation of policies and programs established by the board of directors and ensuring the alignment of programs with the Society’s Strategic Plan. She also works directly with all SMPS chapters ensuring sound management and governance practices. Ms. Myers has over 29 years of experience in association management ranging from governance and human resource management to membership and marketing and chapter component relations. Tina is a Certified Association Executive. Ronald D. Worth, CAE, FSMPS, FAIC, Associate AIA is the Executive Director and Treasurer of the International Association of Assessing Officers. Prior to IAAO, Mr. Worth served as the chief executive officer of the Society for Marketing Professional Services (SMPS), a network of 6,800 marketing and business development professionals from architectural, engineering, planning, interior design, construction, and specialty construction firms located in the United States and Canada. Mr. Worth also served as the Executive Director of the Professional Services Management Association, representing CEOs and CFOs of leading architectural and engineering companies, and the Washington Building Congress. In June 2011, he was recognized by the SMPS DC Chapter with their highest honor, the Golden Tuba Award; October 2010, he was recognized by the Construction Writers Association with its highest honor: The Silver Hard Hat Award. He is a Past President of the Construction Writers Association, and a past member of the Board of Directors of the American Council for Construction Education and American Institute of Construction. He has a bachelor's degree in architecture from the University of Kansas and an MBA from Bradley University. He also has achieved the Certified Association Executive from the American Society of Association Executives, the FAIC designation, is a Fellow of the Society for Marketing Professional Services and American Institute of Constructors, and is an Associate of the American Institute of Architects. Each professional development leader will describe their organization’s focus on new passageways for education and certification delivery. Panelists will also describe perceived universal skills for personal advancement and accomplishing dynamic organizational management. David Bunton has served as the senior staff member of The Appraisal Foundation since May of 1990. As President, he is the Chief Executive Officer of the Foundation. Prior to joining The Appraisal Foundation, he served as the Vice President of Government Affairs and Communications for the Federal Asset Disposition Association. He also previously served as a legislative assistant in the United States Senate for eight years and was a Congressional Chief of Staff in the House of Representatives for four years. Mr. Bunton holds a BA degree in Government and Politics from the University of Maryland. Mr. Bunton recently received a certificate in the Leadership Series for Non-Profit CEOs from the Harvard Kennedy School of Executive Education. John D. Russell, JD is Senior Director of Government Relations and Business Development for the American Society of Appraisers. John joined ASA in October 2009 and has developed the organization’s internal government relations department. During this time, he has worked on issues affecting all its multidisciplinary members, including Modernization of Title XI of FIRREA, included in Title XIV of the Dodd-Frank Wall Street Reform Act of 2010, and its subsequent implementing regulations; Defeating the IRS’s proposal reinstituting “family attribution” for family-controlled businesses in estate and gift tax situations; Overcoming proposed “appraiser-as-fiduciary” regulations for ESOP valuations at the Department of Labor, avoiding inescapable conflicts of interest; Obtaining clarity regarding the role and liability of appraisers when dealing with items containing ivory under Fish and Wildlife Service regulations; and, successfully pushing for the re-engineering of IRS Letter 4477 to improve due process protections for appraisers facing allegations of valuation misstatements under IRC 6695A. He also serves as ASA’s representative to the Appraisal Foundation Advisory Council (TAFAC) and was elected to represent TAFAC on the Board of Trustees of the Appraisal Foundation. He has a Juris Doctor from the Syracuse University College of Law, and a Bachelor of Arts in Broadcasting and Mass Communications from the State University of New York at Oswego. Amy Rasmussen, RES, AAS is President-Elect of IAAO for 2019. Outside of IAAO Ms. Rasmussen is Director of Litigation for the Polk County, Iowa, Assessor's Office. She has previously served as IAAO Vice-President in 2018 and was on the IAAO Board from 2014-2016. In addition, her IAAO service includes serving as Chair of the Professional Development Committee; as a Subject Matter Expert for the USPAP Committee; a member of the Budget Committee, Technology Special Committee; Vision 2020 Committee, and Planning and Rules Committee; and as a Senior Specialty Instructor, Professional Advisor, and an IAAO Representative. She has also served as a board member of the Iowa Real Estate Appraiser Examining Board and as vice chair from 2008-10; and was on the Board of Directors of the Institute of Iowa Certified Assessors. She has achieved the IAAO Assessment Administration Specialist and Residential Evaluation Specialist designations; and the Certified Public Manager; Iowa Certified Assessor, and Certified Residential Real Property Appraiser. She received a Master of Public Administration in Public Policy from Drake University and a Bachelor of Science, Psychology from Iowa State University. This panel will focus on technology advances that are happening right now that you will need to know in developing international land administration. Creative initiatives across the world will be discussed highlighting the importance of where will we find and how do we retain new leaders. Dr. C. Kat Grimsley is the Director of the Masters in Real Estate Development program at the George Mason University. She is responsible for the administration of all aspects of the program including strategic development, curriculum management, and coordination and community building of students, alumni, and instructors. Dr. Grimsley's appointment as Director builds on of her unique blend of professional and academic experience with commercial real estate. She began her career in the private sector doing market research, financial modeling, and transactional work with commercial real estate in the Washington, D.C. area. She then transitioned to a global focus when she accepted a role managing an international property development portfolio for the U.S. Department of State where she developed acquisition strategies for diplomatic properties in more than 25 countries and represented the U.S. Government in the implementation of each. Specifically, Dr. Grimsley led multidisciplinary technical teams; conducted political, transactional and contract negotiations; and engaged in constant inter- and intra-agency coordination and consensus building. In 2018, Dr. Grimsley became the first woman appointed as a Distinguished Fellow by the national commercial real estate development association NAIOP. She also currently serves as a member of the Real Estate Market Advisory Group for the United Nation's Economic Commission for Europe (UN-ECE) Committee of Housing and Land Management. Dr. Grimsley earned an MS in Real Estate from the Johns Hopkins University and completed her doctorate at the University of Cambridge, where her research addressed global tenure and title insecurity by uniting policy with existing international best practices and technological capacity in the context of global administrative solutions. Her on-going research is related to this theme and has been presented at the World Bank and UN. Aanchal Anand is a Land Administration Specialist in the Global Land and Geospatial Unit of the World Bank. Prior to the World Bank, she worked as an investment banker in London and as a corporate strategy professional in New Delhi. Aanchal has a BSc in Economics from the London School of Economics and an MA in Economics and International Relations from Johns Hopkins University. She speaks English, Hindi, and Russian. Paul Bidanset currently serves as the IAAO's Valuation Research Project Manager. He is in the final year of his Ph.D. candidacy at Ulster University in Belfast, Northern Ireland, where he has developed a new AVM for mass real estate appraisal under the supervision of doctors Billy McCluskey, Peadar Davis, and Michael McCord. His expertise primarily focuses on using GIS and modeling to improve valuation accuracy, uniformity, and defensibility for government property taxation. He's been published in journals and mass appraisal textbooks across the globe, and is the 2017 co-recipient of the IAAO's distinguished research award and the Lincoln Institute of Land Policy's C. Lowell Harris Fellowship. Panelists will discuss efforts made by each organization to deliver government services to help improve world conditions. Leadership keys to accomplishing successful programs and the importance of effective communication will be highlighted. Discussion will also include how to present information in difficult and challenging situations, and the importance roles of building resilience and diversity in our future governance. Neil Shah is Regional Managing Director, Americas and is responsible for managing the presence, promotion and profile of RICS across North & Latin America. His focus is to build the RICS brand across the Americas and in the process grow the profession. His primary responsibility is to ensure adoption of RICS qualification and international standards by key employers and stakeholders. He started his career at Pratt & Whitney where he held positions in sales, customer services and program management. Over the course of his career, Neil has been a speaker at many industry events focusing on real estate services and facilities management. He holds an M.B.A. from Emory University, a B.S. in aerospace engineering / B.A. in economics from Boston University and an M.S. in mechanical engineering from Rensselaer Polytechnic Institute. Klaus Deininger is a Lead Economist in in the Agriculture and Rural Development Team of the World Bank's Development Research Group. His areas of research focus on income and asset inequality and its relationship to poverty reduction and growth; access to land, land markets and land reform and their impact on household welfare and agricultural productivity; land tenure and its impact on investment, including environmental sustainability; and capacity building (including the use of quantitative and qualitative methods) for policy analysis and evaluation, mainly in the Africa, Central America, and East Asia Regions. He is a German national with a Ph.D. in Applied Economics from the University of Minnesota, an MA in Agricultural Economics from the University of Berlin, and an MA in theology from the University of Bonn. Dorothy Jacks, AAS serves as Past President of the IAAO. Outside of IAAO she is the Palm Beach County, Florida Property Appraiser. Previously she served as IAAO President in 2018, President-Elect in 2017, Vice President in 2016, and on the Executive Board from 2010 to 2012. Ms. Jacks has been a member of IAAO since 1993. She has served as Chair of the IAAO International Committee in 2014 and 2015; Co-chair of the IAAO International Special Committee in 2013; and as a committee member of the IAAO Membership Services Committee in 2009 and the IAAO Budget Committee in 2011 and 2012. In addition, she is a Past President of the Florida Chapter of IAAO. She has been with the Palm Beach County Property Appraiser's office for approximately 30 years and was elected County Property Appraiser in 2016 after previously serving as Chief Deputy Property Appraiser. In addition, she has served as a Past President of the Friends of the West Palm Beach Public Library and the Executive Women of the Palm Beaches, and as an Executive Board Member of the Leadership PBC. She received a bachelor's degree in political science from the University of Florida. This panel will offer examples of the emergence of new partnership structures in government to increase awareness and offer suggestions in how to navigate them. Current innovations in government structures will also be explored. Jayant Kairam is the Director of Program Strategy at the National Association of Counties (NACo) and brings nearly 15 years of experience in the public and social sectors in developing and driving effective advocacy campaigns and high impact public programs. Jay oversees NACo’s portfolio of programs across the areas of health, human services, justice, economic development, resilience, transportation and infrastructure. In addition to overall program management and development responsibilities, Jayant coordinates efforts across a large network of NACo stakeholders including private foundations, nonprofit partners, research entities and other member-driven organizations, and is working to advance greater use of data and analytics, human-centered design and equity-based frameworks across NACo’s program practice areas. He was most recently the Deputy Assistant General Manager for External Affairs at the San Francisco Public Utilities Commission, where he led a metrics-driven community benefits program, managing the planning and implementation of $30 million of investments in community-based organizations. Prior to that, he served as the California Clean Energy Director for the Environmental Defense Fund overseeing state-level policy and regulatory operations. He has held leadership positions for the City of New York, including as Deputy Commissioner for the New York City Business Integrity Commission and as Senior Policy Advisor in the Office of the Mayor in New York City. He is a graduate of Vassar College and the Harvard Kennedy School and served as US Peace Corps Volunteer in Cape Verde. Jeffrey Prang was sworn in on December 1, 2014, as the 27th Assessor of the County of Los Angeles. He represents over 10 million county residents with a staff of 1,400 across six offices. He leads the largest public assessment agency in the US and is responsible for the valuation of 2.57 million parcels valued at $1.51 trillion.Prior to his election as Assessor, Jeffrey Prang served as a Council member in the City of West Hollywood, including four terms as Mayor. He was also an Assistant City Manager for the City of Pico Rivera and a Special Assistant to Assessor Kenneth P. Hahn (ret.). Alan Robbins is a member of the team that founded Devex, he is responsible for building new and innovative partnerships with all types of development actors, from aid agencies to corporations to NGOs and everything in between. Whether it's through a ground-breaking event, a multimedia digital communications initiative, a perception survey or any of a number of other ways, he always enjoys helping organizations find new and improved ways to impact development. Prior to conceiving of and launching the partnerships function at Devex in 2013, he did the same for membership — where he was responsible for the team that grew the community of organizational members from zero to the 1,000+ leading NGOs, companies and aid agencies that are all part of Devex today. Previously, Alan served as deputy director of the Executive Council on Diplomacy, a nonprofit organization designed to foster understanding between the U.S. government and civil society, and the foreign diplomatic community in Washington. He also spent brief stints working in New Jersey politics and local government. In his spare time, you can often find Alan on the basketball court or reading sci-fi novels and anything dealing with former U.S. presidents (or a certain treasury secretary). Jeff Krzeminski is the Vice President of Product Management for Thomson Reuters Tax & Accounting Government business. Jeff rejoined TR in 2016 after being the founder and Principal Consultant of Flint PM, focused on product management for enterprise software and service providers. Over a 20-year software career, Jeff worked with teams ranging startups to Fortune 100 companies and national accounting firms. Jeff’s current focus is on driving innovation in land information and property tax technology. Most of Jeff’s experience is in Property Tax and related industries. Before founding Flint, Jeff worked as Director of Product Management with companies including Thomson Reuters, Corptax, and National Tax Search. Jeff has a track record of building talented, effective teams to develop and execute on new product strategies. This is a one-of a kind opportunity to visit one of the world’s most recognized and leading news sources. You will meet Don Durfee, Managing Editor, News Strategy and Operations, Americas Reuters and learn how news and information are developed in today’s non-stop media environment.